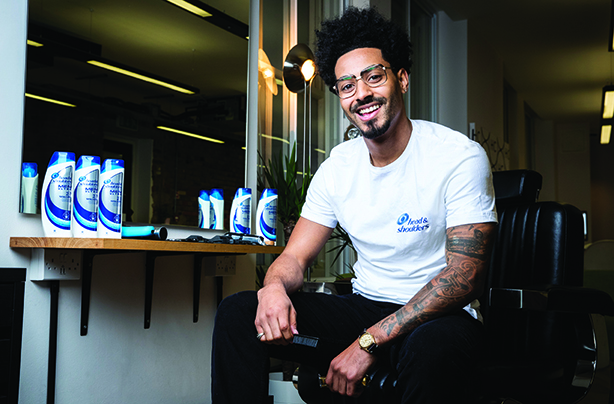 Inspired by footballers' colourful history of hairstyles, and piggybacking England's run in the 2018 World Cup, Ketchum launched a platform to help make Head & Shoulders the 'unofficial shampoo' of the national team. The aim was to drive awareness, engagement and sales of a new product line for young men: Head & Shoulders Men Ultra. The brand had to reach an audience that rarely discusses dandruff and cut through the clutter of World Cup promotions. 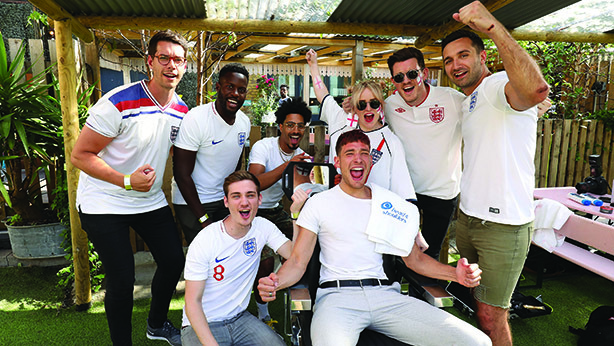 Ketchum tapped into the excitement and national pride associated with England’s unlikely but exhilarating World Cup run in Russia, riding the waistcoat-tails of manager Gareth Southgate’s charges without any official sponsorship visibility. The inspiration came from England footballers themselves. If there is one thing Premier League stars are known for, aside from tattoos, it’s their haircuts. From David Beckham’s cornrows to Gareth Bale’s man bun, media and fans have long obsessed about players’ hairstyles. This provided the perfect canvas for an anti-dandruff shampoo. 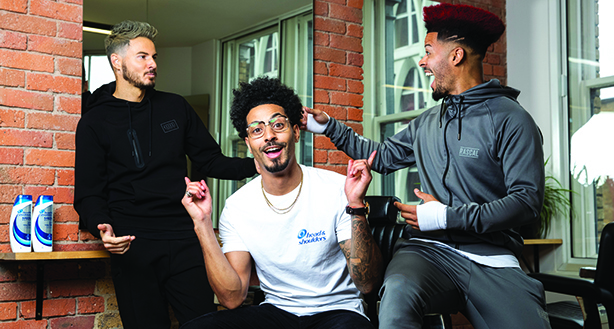 Ketchum helped the brand launch #GoScalpBrave – a platform driving a national conversation about World Cup players’ dramatic hairstyles. This involved a collaboration with England’s official team barber, Justin Carr (above). Head & Shoulders showcased player hairstyles and original content via print, live events and digital channels. 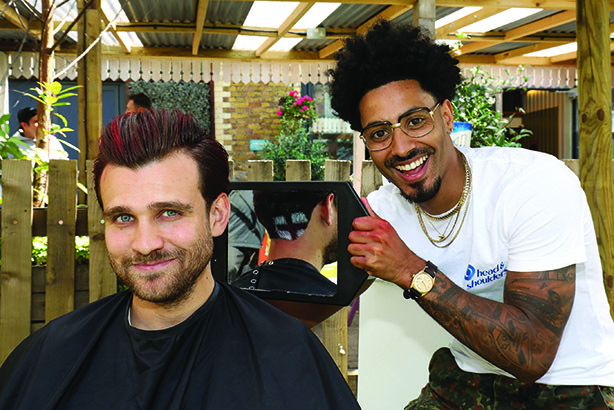 As England prepared for an epic semi-final match, Head & Shoulders created a branded pop-up at a major viewing venue, where Carr gave daring fans #GoScalpBrave hairstyles — including Miniminter, F2 Freestylers (below) and Jake Boys, among other prominent male and football digital influencers. The branded content achieved 57 million impressions through 22 posts. By leveraging media surrounding the 2018 World Cup and directing it to a brand message – celebrating players with bold hairstyles that show off healthy scalps – Head & Shoulders was able to own the moment. There were 45 pieces of earned coverage with net reach of 52 million (including BBC News, Sky News, Mail Online, the London Evening Standard and The Mirror), but the campaign also had an impact on sales of Head & Shoulders Men Ultra, which rose 18 per cent over the period. Playful media content and live activations enabled the brand to ensure 85 per cent of coverage included a link to its website. This organic SEO resulted in Head & Shoulders becoming the #1 ranked Google search result for "football hair" during the World Cup.